Here is a link back to Part 4 in case you missed it! This section of the agreement describes what the Rainmaker Team Leaders provide to the Buyer Associate, and details what happens to those items should the agreement be terminated. * E-mail Account: http://www.godaddy.com/ 50MB e-mail account to be used for all communications with leads, prospects, clients and customers. E-mail account remains with The Marriott Group at termination of this agreement and may forward e-mail messages to departing Buyer Associate for up to 1 year at Rainmaker Team Leaders discretion. * Inbound Fax Number: MyFax Toll Free account with inbound faxes directed to an e-mail address that then forwards inbound faxes to both Buyer Associate and Rainmaker Team Leaders. MyFax account and fax number remains with The Marriott Group at termination of this agreement. * Toll Free Phone Number: RingCentral Toll Free account with calls directed to phone number(s) of the Buyer Associates choice. RingCentral Toll Free account and toll free phone number remains with The Marriott Group at termination of this agreement. * Lead Management: Top Producer 7i account for lead management including Top Producer 7i for Palm. 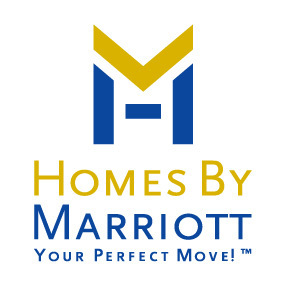 Buyer Associate understands that the Top Producer 7i licenses and databases are the property of the Rainmaker Team Leaders and remain with The Marriott Group at termination of this agreement. This allows Buyer Associates to maximize their time conducting productive activities, Lead Generation, Working with Clients and Negotiating Contracts, and to minimize the time Buyer Associates spend on non-productive support activities, and to present a uniform and comprehensive service to our clients. Rainmaker Team Leaders will provide, to the best of their ability, leads, prospects, customers, clients, advice, and leadership to Buyer Associate for the term of this agreement. Buyer Associate understands that Rainmaker Team Leaders obtain leads from a variety of sources, some of which may be subject to a referral fee to another Agent/Broker outside of The Marriott Group. Transactions that result from leads subject to referral fee(s) will have the referral fee(s) paid direct from escrow to the referring Agent/Broker, and the split and/or referral fee(s) between Buyer Associate(s) and Rainmaker Team Leaders stated in this document will be calculated on the amount paid to Keller Williams Realty Professional Partners for the benefit of The Marriott Group (not including any referral fee due to The Marriott Group). Buyer Associate understands that Rainmaker Team Leaders objective is to continue to build the business of The Marriott Group by providing an exceptional level of service to leads, prospects, clients and customers, and that Rainmaker Team Leaders will determine when to add Buyer Associates to The Marriott Group to ensure the specified service levels are consistently met or exceeded. Buyer Associate understands that Rainmaker Team Leaders may assign leads at their discretion to any Buyer Associate due to urgency, availability, area of experience, or any other factors deemed significant by Rainmaker Team Leaders. In recognition of the fact that Buyer Associates and Rainmaker Team Leaders will from time to time be unavailable, i.e. ; busy with other clients, vacation, out of town or ill, Buyer Associate understands that all new incoming buyer client and/or buyer customer leads are assigned by Rainmaker Team Leaders to Buyer Associates based on the number one priority of ensuring that leads, prospects, clients and customers of The Marriott Group receive the promptness and level of service described in this agreement. If a lead, prospect, client or customer is assigned by Rainmaker Team Leaders to a Buyer Associate and for any reason needs a response sooner than the Buyer Associate is able to provide, Buyer Associate understands that Rainmaker Team Leaders may retract that assignment and reassign the lead, prospect, client or customer to another Buyer Associate. Such reassignment should not be construed as criticism of the performance of the Buyer Associate; any reassignment is done solely for the benefit of the lead, prospect, client or customer and the overall good of the business of The Marriott Group. Buyer Associate understands and agrees that in the absence of written instructions to the contrary, signed by two or more Buyer Associates, the commission split for a buyer transaction is payable to the Buyer Associate identified on the Purchase Offer. How many members are with your group? Steve - At one point last year we reached a high of thirteen, which we whittled down prior to making our move to Keller Williams in August. We are currently at seven team members - two of which are full time Buyer Associates, and are in the process of adding nine more Buyer Associates as quickly as we can. You supply a lot to buyer's agents. I can see why your contract is so tight. You bet. We do our best to avoid taking on those who aren't committed - but we do our best to protect ourselves in case we erred! There is so much good information in this posting that I have read and reread it. Thanks so much for taking the time to put this together. I am looking into several of the providers of services that you use, as well as the rest of the information. We are going from 2 to 4 people (family) but the business is growing so we needed some ideas on how to get started. Marjorie - Thanks for the comment - happy to hear the information proved useful! Yvette Chisholm I was remiss in the early days - just now catching up with comments from blog posts since day 1 - thanks for the comment - hope you are still in the 'Rain!